Richard Watson Gilder was an American poet, newspaper editor and private soldier in the Unionist army during the Civil War. Many of his poems featured artistic themes such as the theatre, music and art although he did write a great deal of material describing his wartime experiences. 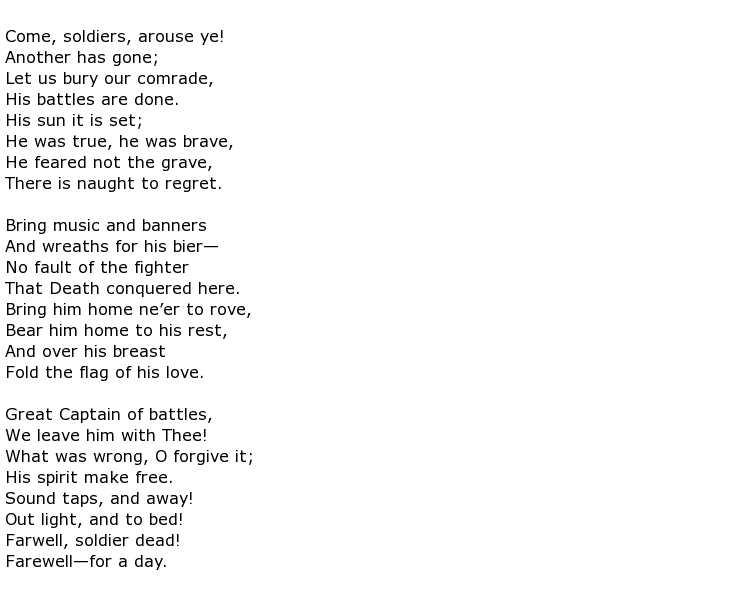 He had the honour of having one of his most famous war poems, The Dead Comrade, read out at the funeral of the General and then President of the United States Ulysses S. Grant, which was held in 1885. He was born on the 8th February 1844 in the New Jersey town of Bordentown. His father was a Methodist clergyman and the young Richard was sent to school at a seminary in Flushing, Queens that was run by the Reverend Gilder. A useful part of his education here was learning to set type and he used this newly acquired skill to publish the St. Thomas Register. Unsure where his career path might take him he also studied law for a while in Philadelphia although he had to give this up after his father had died. The American Civil War put a hold on many a young man’s ambitions and Gilder joined the state Emergency Volunteer Militia, serving as a private soldier in Landis’ Philadelphia Battery. He wrote a number of poems while serving and this period of military service coincided with the Confederate General Robert E. Lee’s campaign in Pennsylvania. Once the war was over Gilder took up journalism, initially writing for the Newark Register. He became editor eventually, of this and other publications. Gilder was a great enthusiast for public affairs, with a particular interest in government reforms and social injustices. An example of the latter was his chairmanship of the newly established Tenement House Commission, an organisation that looked out for all tenement dwellers in New York City. He would often risk his own good health to attend fires at various locations simply to observe and report on what a hard life these poor people lived. He also aligned himself with a number of organisations such as the International Copyright League, the Simplified Spelling Board and the American Academy of Arts and Letters, among many others. He had many friends and contemporaries in New York literary circles and, for a while, he met up and collaborated with a Scottish poet and preacher called George MacDonald when the Scot was on tour in the United States. Richard Watson Gilder died on the 19th November 1909 at the age of 65.